Broadcasters play an important role in communications during a crisis. 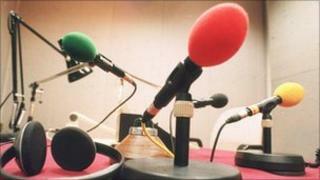 As well as its network stations, the BBC operates six national and 40 local radio stations, 54 local websites and 15 national and regional TV news programmes (with three shorter "sub-opts" - a section produced especially for a smaller part of the main programme area). Local/nations radio and the BBC News website in particular have a special role in crisis communications. The BBC Nations/Local Radio network has carefully designed resilience planning to ensure it can stay on air during a crisis to provide the vital information local communities will need. Planning before a crisis is key and the importance of a good pre-existing relationship between those in the media and those involved in emergency planning and work during a crisis cannot be overestimated.